If you are a “large” employer, time is running out to prepare for the Affordable Care Act’s (ACA’s) shared responsibility provision, commonly referred to as “play-or-pay.” It is scheduled to go into effect in 2015. 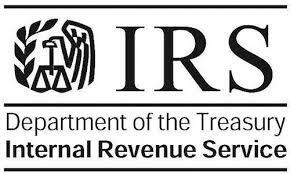 Under transitional relief the IRS issued earlier this year, for 2015, large employers generally include those with at least 100 full-time employees or the equivalent, as defined by the ACA. However, the threshold is scheduled to drop to 50 beginning in 2016, and that threshold will apply beginning in 2015 for the ACA’s information-reporting provision. The IRS has issued detailed guidance on what these terms mean and how employers can determine whether they are a large employer and, if so, whether they are offering sufficient coverage to avoid the risk of penalties. If your business could be subject to the play-or-pay provision and you have not yet started preparing, do so now. For more information on play-or-pay — or on the information reporting requirements — please contact your Keiter representative or 804.747.0000 | information@keitercpa.com.